Episode Summary: Katherine Hayles is best known for her work as a postmodern social and literary critic. Now a professor at Duke University, Hayles joins Emerj for a discussion about the difference between consciousness and cognition, from the features that differentiate the two to the types of technologies that facilitate each. Hayles contributes her views on how the technologies of the future may impact human consciousness and the very role of human beings. Recognition in Brief: Hayles was recently recognized with a Lifetime Achievement Award by the Society for Literature, Science and Arts in October 2013, and past recognition has included the Suzanne Langer Award for Outstanding Scholarship. She was granted a fellowship through the Institute for Advanced Studies at the University of Durham in January 2015. Hayles is the author of several books, including her latest release The Cognitive Nonconscious and the Larger Landscape, as well as How We Think: Digital Media and Contemporary Technogenesis, and How We Became Posthuman: Virtual Bodies in Cyberetics, Literature and Informatics, which won the Rene Wellek Prize for Best Book in Literary Theory for 1998-99. She has also published numerous academic research articles throughout her career. In other words, Deleuze – and many who came after – recognized that everything is in the process of becoming something else, and to stifle such change is to work against nature. “Assemblage implies some kind of connection, but not one so tight that you couldn’t lose or add parts”, explains Katherine. The term is well suited to describe what’s happening, for example, with traffic patterns when signals are controlled by intelligent algorithms that self evolve. She references the Automated Traffic Surveillance And Control System (ATSAC) in Los Angeles as an example. Drivers are coming onto streets, their presence is being registered by system called ATSAC, which is losing and adding part, but there is continuous communication between the central system and drivers on the streets. This, say Hayles, is a way to visualize assemblage. The biggest example (of course) is the Internet – people signing in, signing off, constant flux and flow – yet there are precise protocols as to how this communication takes place. It is a facilitated platform that can grow or shrink, serve a number of needs, etc. The Internet is a mode of connecting, though you could use a term like network, says Hayles. “But that doesn’t apply to something like the Automated Traffic Control System – how humans interact is defined by different dynamics, which is why assemblage is a better word,” she explains. “It has this nice combination of looseness of boundaries, combined with preciseness of how the channels work.” In a nod to their relevance, one can see the power of Deleuze’s ideas still being played out today in cultural theory. Deleuze, however, was not focusing exclusively on humans, because this imply that humans should be the major focus of attention. “He wanted to do away with this notion, he was something of a technophobe,” remarks Hayles. In the second generation of Deleuze influences, there are those who are specifically trying to apply these ideas to other life forms or digital media. The book Insect Media, by Jussi Parikka, stimulates thoughtful discussion about swarms as a kind of a form of technical assemblage. “You can see how something like the Internet in its constant rearrangement…would lend itself somewhat to these ideas,” says Katherine. How does this integrated connectedness really work, and how can we see and recognize the many variable and subtle affects when we are part of the intricate equation? Hayles references the Sociometer, “a wearable device for understanding human networks” developed by MIT Professor Alex “Sandy” Pentland, who later cofounded the services-based company Sociometric Solutions. Social signaling developed in evolutionary terms, and it’s not unique to humans. One can observe plenty chimpanzee teeth if he or she approaches a troop of these monkeys and they sense danger. Pentland has developed a device that registers things like intensity of voice, duration of interactions, etc., and he argued that on videos with slices as thin as 30 seconds, he could predict the decisions that a group will reach. Thus far, the technology has had much success, and was recognized by Harvard’s Business Review in 2009 as a breakthrough innovation. The important implication is that while humans are immersed in conscious involvement, they have already reached a decision and are communicating it through other social signals. “If we just focus on honest signals, we can make very accurate predictions about what people will do…(the sociometer) allows an opening out into visibility into something that couldn’t really be done that way before,” says Hayles. We jump ahead to human relationships with machines. “There’s always been this problem with asking questions like ‘can machines think’…this has been associated with consciousness, and although machines can simulate, they have never achieved consciousness,” says Hayles. 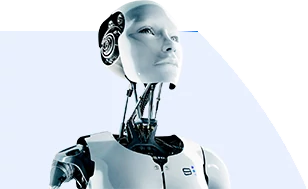 She believes machines are unlikely to be conscious technical systems in the near future; however, there is an illumination connection between how machines and our minds funciton. All of the cognitions that technical systems perform are without consciousness, and recent research in neuroscience reveals the extent to which consciousness is dependent on unconsciousness for preprocessing all information that streams into the brain. This has a close analog with what technical systems do, and it moves the Socratic argument of ‘can machines think’ into one that can more closely be observed and studies i.e. ‘how do unconscious cognitions as performed by machines and organisms interact, and in what ways do they interact’. The Sociometer is about addressing this interaction between human, but the potential to study such interactions between humans and machines is within our grasp. Nigel Thrift, a British academic, coined the way in which humans interact with technical systems as the technological unconsciousness (i.e. the ways in which our assumptions about how the world works are deeply structured by technical infrastructure). These assumptions may be so fundamental that don’t even think about them as such. “If you are used to walking on concrete streets, for example, you would have a different set of assumptions about how the world works compared to an African tribesman who has only walked on grass and swamp,” explains Hayles. The cell phone has fundamentally transformed the way we communicate with others, how we access the types of information available, etc. To younger generations, this is just part of the way the world works, but someone with a different technical infrastructure would have radically different views. “The idea is that human technical assemblages structure both immediately and covertly much of how human cultural life evolves.” Finding ways to observe and analyze these beneath-the-surface relationships between humans and machines may be key to helping humanity make better attuned decisions as to how we move forward in our relationship with future technologies. If you're one of the 37 million of Americans who suffer from migraines you'll be interested to hear about the Cefaly headband. Recently approved by the FDA, this external device uses neurostimulation to reduce the frequency of debilitating headaches. The device works by sending a mild electric current to stimulate the trigeminal nerve. This nerve is the one responsible for transmitting information about facial sensations to the brainstem, and has been previously liked to chronic headaches. Migraine sufferers wear the Cefaly for 20 minutes each day, while going about their daily routine. Users described feeling a mild but not unpleasant tingling sensation. Trials show that users experienced fewer headaches within just on month of using the headband, though there is no indication that the headband can relieve a migraine that is already in progress. The Cefaly could prove beneficial for migraine sufferers who are unable to take prescription medications to prevent or treat severe headaches. I was lucky enough to catch up recently with Fabrice Grinda, co-founder of OLX Inc. (one of the world's largest classified sites, employs over 300 people). Previously CEO and founder of Zingy Inc. (wireless communications, sold for $80M), and Aucland S.A (auction site in Europe), Fabrice is currently a major angel investor and respected thinker in the domain of technology and entrepreneurship. In this episode, my business partner Edmond Lowell hosts an "Investor's Perspective" interview with Technology entrepreneur & investor Sergey Gribov. How emotions influence consumer buying habits has long intrigued and evaded the business sector. Face recognition technology, once limited to security and surveillance systems, has made it possible to gauge more specific metrics to allow companies to predict consumer behavior and accelerate revenue growth.